Ten of the eighteen trigger points common with FMS are concentrated in the neck and shoulders, making neck pain a normal occurrence for fibro-sufferers. I once spent over a year trying to diagnose some symptoms I was having. Living with fibromyalgia, it is sometimes difficult to differentiate FMS aches and pains from something different. I have never been one to go to the doctor much, and do believe we know our bodies best and we must be diligent in finding what works for ourselves. So when I know something is really wrong, it is up to me to find the right doctor to work with me for a diagnosis. Back in 2011, I was having neck pain, headaches, and dizziness. Yes, those are typical symptoms of FMS. But I had a spike in my blood pressure one day at work that landed me an ambulance ride to the ER with chest pains and nitroglycerin tablets. That led to cardiologists, neurologists, CAT Scans, MRIs, samples of I don’t know how many different medications, and a litany of misdiagnoses. At one point I had a 2 gallon Ziploc bag full of samples I was given and medications I was prescribed. What a nightmare! “You have high blood pressure, try this.” Well when you don’t have high blood pressure and you are prescribed medication to lower your already normal or low blood pressure, your BP plummets! I never went back to that doctor. I became vigilant about documenting everything. I kept a binder full of test results and a journal of visits and symptoms. I googled my symptoms looking for any explanation (really not that helpful!). One MRI also showed a cyst on the pineal gland in my brain. In the absence of information, one’s mind will wander and assumptions will fill in the gaps. When I first heard “cyst” and “brain” all I could think of was Arnold Schwarzenegger in Kindergarten Cop telling the kids his headache wasn’t a tumor. Thankfully mine was just a cyst, not a tumor, that requires periodic monitoring for changes. But there was very little information I could find about the pineal cyst. I often say that in the absence of information, one’s mind will wander and allow assumptions to fill in the gaps. So my mind wandered. It was a stressful time, to say the least. The pineal gland is known to produce “the serotonin derivative melatonin; a hormone that affects the modulation of the wake/sleep patterns and seasonal functions secretes the hormone melatonin, which is involved in the body’s sleep wake cycle.” So even though I have found little to correlate this, I have long suspected that this may have something to do with my sleep disturbances, dizziness, equilibrium issues, and fibromyalgia. Convinced that this was still something different, I was determined to find the source ofthe neck pain/headaches/dizziness. I found a new rheumatologist for my Fibromyalgia, and he ordered an MRI for my neck pain. This eventually led to my diagnosis by neurosurgeon of a herniated disc in my neck at C5-C6, (anterior cervical discectomy) surgery in March, 2012, and relief from the pain and headaches due to the relief of pressure off of the spinal nerves. Fast-forward to today. While I had relief after the surgery, the neck pain never really vanished. Ten of the eighteen trigger points common with FMS are concentrated in the neck and shoulders, making neck pain a common occurrence for fibro-sufferers. My symptoms became much more tolerable and manageable after surgery. But the symptoms seem to have returned this year, along with my on-going lower back/hip/leg pain. At the time of my surgery, I had another disc that wasn’t quite herniated, but didn’t look great. My doctor only wanted to address the one at the time, and I really hope and pray that doesn’t come to another surgery. I still sleep with a heating pad almost nightly (the heat vs. ice argument will be saved for a future blog), depending on which hurts worse – lower back and hips or neck and shoulder. I get massages occasionally, use my foam roller and physical therapy exercises to work out the knots, apply Voltaren gel or Icy Hot patches, or use my TENS unit. All provide a little temporary relief, but the neck pain always returns. And sleeping with a contoured pillow is a must. I read this great article the other day by Dr. Ginevra Liptan about Fibromyalgia and Five Truths about the condition. I find consolation (although no relief!) from this line in her book: “My neck burned constantly and felt like it could no longer hold up the weight of my head.” I would have sworn she was describing me! It was one of those “A-Ha!” moments where I thought, finally another doctor who gets it! There aren’t many who preach managing the condition through self-care and holistic practices, but the ones that do are the ones I follow, and I am planning on buying her book The Fibro Manual to see what other recommmendations she has that I haven’t tried. This J. J. Virgin podcast with Dr. Carri talks about Treating Fibromyalgia Naturally. I love her podcasts! 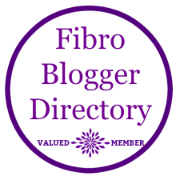 And Dr. Murphree has articles and conference calls on various topics related to Fibromyalgia. Think of your body as a Cadillac or Ferrari that requires premium fuel to run at its optimum. My primary care doctor once told me my body was a Cadillac and required premium fuel. He recommends no gluten, dairy, sugar, and no processed foods or junk foods, which can all lead to inflammation in the body. And inflammation = aches + pains + flares for fibro-sufferers. And if, like me, you wonder why it seems everyone has become gluten sensitive and “gluten-free” is the norm on the grocery shelves, read The Wheat Belly by Dr. William Davis to understand about the hybridized wheat developed to improve crops, and the body’s response to it. But gluten certainly isn’t the only food source to blame. An increase in sugar and bad fats in the diet has led to a variety of other issues. Read a nutritionist’s take on damaged gut flora and about leaky gut according to J. J. Virgin. I find that if I eat crappy, I feel crappy. The food we eat matters. Perhaps it’s my hyper-sensitivity to side effects from prescriptions and the bad experiences I had over that fateful year from 2011-2012, but I believe that our traditional Western medicine just isn’t equipped to deal with the medical mysteries behind fibromyalgia. Doctors are more inclined to throw prescriptions at the symptoms rather than looking for and treating the cause of what ails you. No one person has the same symptoms or responds the same to treatment. So if you aren’t finding relief from your doctor, consider looking to alternatives in your diet and lifestyle to help you manage your everyday symptoms. As for me, I will continue educating myself; managing my symptoms with diet, exercise, and healthy lifestyle; and recognizing when something is awry and it’s time to look for a medical professional. What do you do to alleviate neck pain or other FMS symptoms? Do you have other sources you would recommend?